I LOVE LIGHTHOUSES! And, I bet there are others out there who do as well. Here is your chance to possibly see some from around the world! For this swap, you will have 1 US based partner that you will send 1 postcard to. The theme is ... lighthouses. Postcards should be sent naked (stamped and written on), and for this swap should be store bought and new/in good condition. Requirements: Please have a filled out profile. No recent unresolved 1s or 3s without explanation/contacting me. 4.8 rating or higher, newbies welcomed! I will angel if needed. Also... swap-bot randomly assigns partners so sometimes you'll get the same person you've had before. 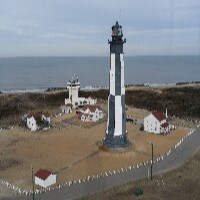 I’m totally new to this but I’d love to participate because I live very close to a lighthouse! It’s late on the last day to sign up but I’m going to join and I understand if you don’t allow me in because I am so new!